The staff is very friendly and helpful. Mrs. Kim Cancienne and Lauren Cancienne are just a real pleasure to associate with. They are quick to respond, and are very courteous and professional. Definitely a great staff at the Houma branch. The Lofton team in Houma, La are wonderful to work with. Ms. Kim and the entire office team makes sure I feel loved and valued as a team member. The Lofton team goes over and beyond to assist their team. It is a pleasure representing Lofton. I love the work assignment I'm currently on so much so I've recommended Lofton to my friends and family. Thank you team Lofton for being #1 in my opinion. I have been with Lofton Security for 8 years. They are very loyal and care about their employees. If you have any issues…they take care of them. Lofton has professional Managers too. They know what's going on at all times. Mrs. Cancienne is the best manager! Lofton is a very good company to work for. Lofton Staffing is a great staffing agency to work for. Mrs. Kim and her staff are great people and very respectful. They don't waist anytime finding jobs. I still refer people looking for a job to Lofton Staffing. Lofton Energy always sends good, quality people when we've needed them. Kim joined Lofton Staffing with our expansion to the Houma, Louisiana market in 2014. 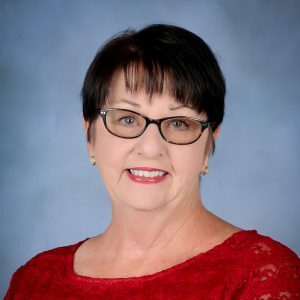 She has worked in the staffing industry for more than 20 years, connecting local talent with some of the most prestigious employers in south Louisiana. She holds national certifications from the American Staffing Association as a Certified Temporary Staffing Specialist as well as a Certified Personnel Consultant. Kim is an active member of South Central Industrial Association, Houma-Terrebonne Chamber of Commerce and is a member of Fletcher Technical Community College’s Business Advisory Committee.